Thought you had to venture all the way to the inner city to find a feed worthy of your taste buds? Well you’ve wasted a few trips food lovers, because there’s a restaurant in your neck of the wood dishing up some delicious eats and drinks: the Garden Grille at The Glen Hotel. If you need an excuse to find the venue (as if you need one to dine closer to home), they’ve just launched a brand new spring menu with some pretty tempting plates. Drop by for dinner with the gang and you can pile the table with share plates to rival any CBD bistro. 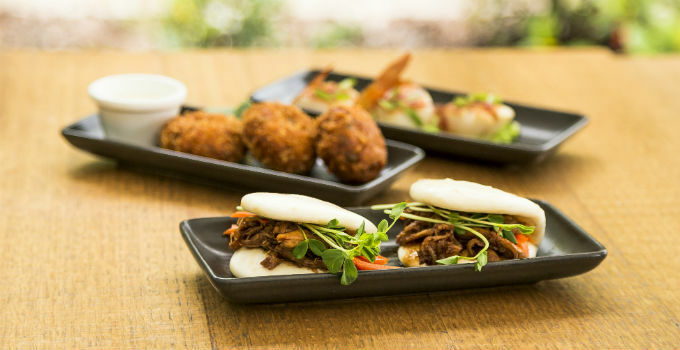 From steamed bao buns with flavoursome teriyaki chicken and pickled veg to crisp ham hock and pea croquettes, you’ll find all your favourite Friday night bites here, along with classics like pan-seared scallops with crispy prosciutto and salt and pepper calamari. The Glen Hotel is well known for their char grilled steaks and seafood, however as the weather heats up, you may be looking for something a little lighter (and that pairs well with that glass of Pinot Gris). New specialty menu items like the seared Gold Coast Tiger prawns with chilli and tomato linguine will cure those carb cravings, but for something meatier, the sovereign rack of lamb with a colourful rocket, pumpkin, feta and quinoa salad is guaranteed to satisfy (and possibly defeat you). 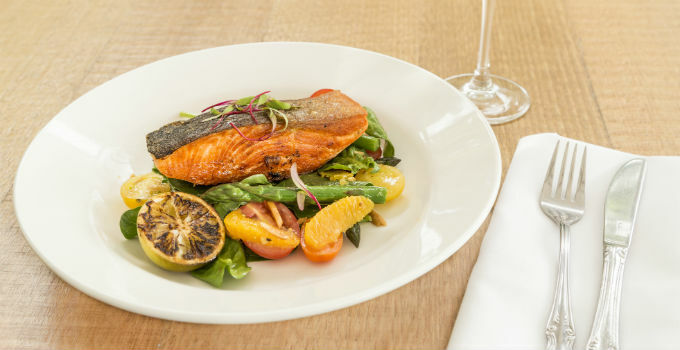 Even gluten free and clean eating types are catered for with a king salmon seared to crispy perfection and served on a vibrant bed of baby spinach, cherry tomatoes, orange and asparagus. Whatever level of hunger you’re looking to cure, just be sure to save room for dessert. 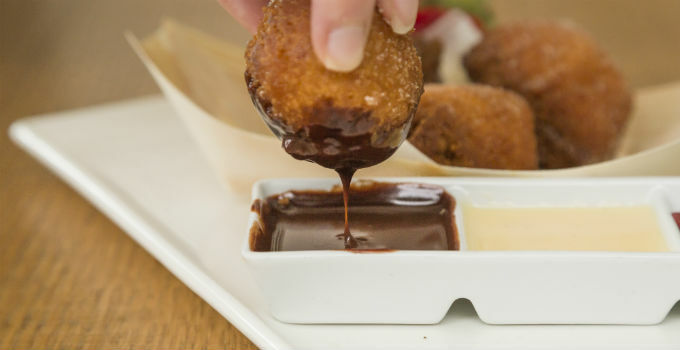 We’d travel all the way from the city to the ‘burbs just to tuck into a plate of their warm cinnamon doughnuts, crunchy on the outside but with a fluffy inside just right for dipping into warm chocolate and crème anglaise. If you can’t decide between those and the triple choc brownies or orange mocha crème brulee, choose all three and get them served in miniature. Now that’s our kinda dessert! Far from feeling like a suburban bistro, The Garden Grille has a lush outdoor setting, perfect for balmy nights when you want to relax with a wine and a good meal (so all summer really). You can even make a night of it and finish dinner with cocktails on The Deck – an espresso martini is always a good idea, right? You’ll find The Garden Grille at The Glen Hotel at 24 Gaskell Street, Eight Mile Plains, open 7 days a week for breakfast, lunch and dinner. Words by Ranyhyn Akui Keeping the G&G up to date with all the latest tasty tidbits requires a lot of double lattes and espresso martinis, so we occasionally need to give out some sponsored love. But rest assured that we only work with businesses that we think are really nifty, as the sponsor for this post is!